This is a modified recipe from Cooking Classy. It is a great springtime salad and very tasty. 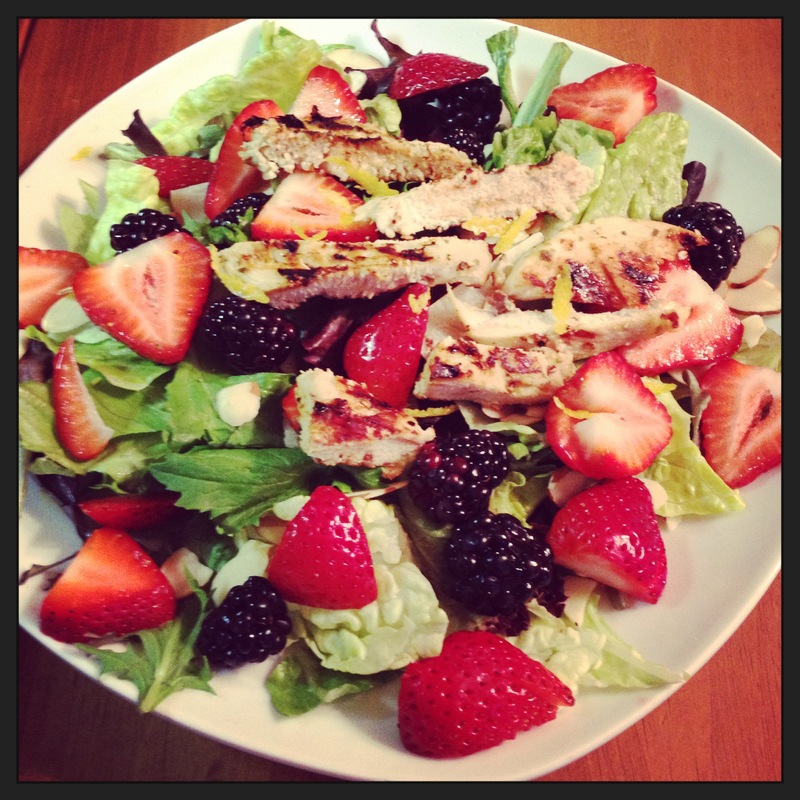 I used spring mix and romaine lettuce, strawberries, blackberries, sliced almonds, and topped it off with lemon pepper chicken (marinated in Ken’s Lemon Pepper) and a little lemon zest. I used a poppy seed dressing (Publix brand) but this would also be good with a raspberry vinaigrette. One thing I discovered while shopping for ingredients are that blackberries are super expensive! They are good in this salad but definitely not required. Layer salad blend onto plate. 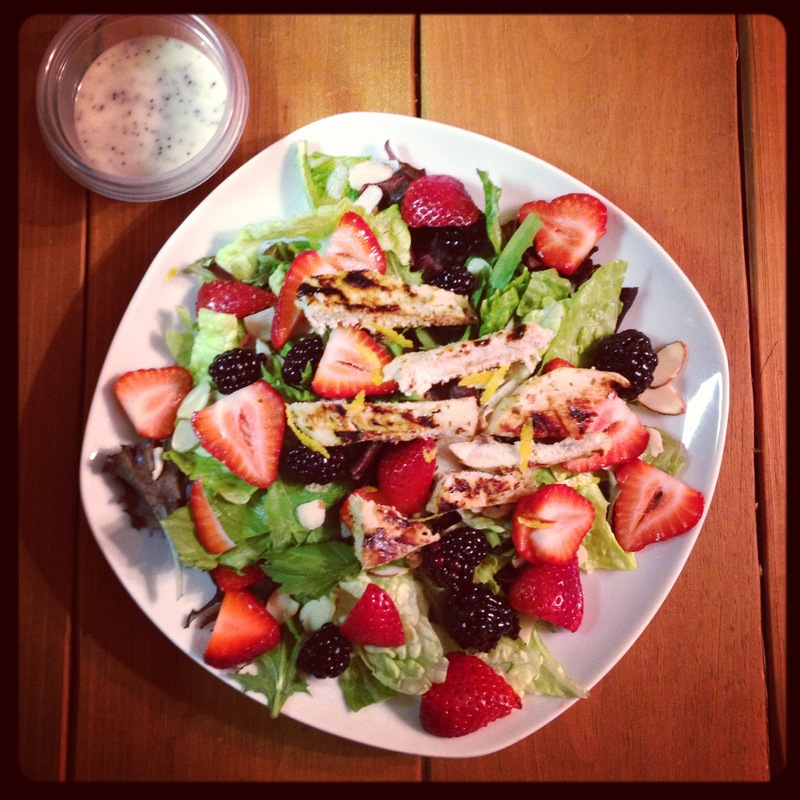 Add strawberries, blackberries, and almonds over salad. Top with grilled lemon pepper chicken, sprinkle with lemon zest if desired. Drizzle top with poppy seed dressing (I poured dressing in a little cup and dipped my fork). Serve immediately. Yes! And it was filling!